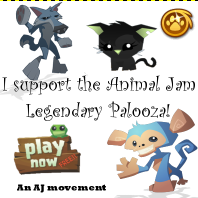 Animal Jam Legendary Palooza: Jamaalidays have begun! Im extremely sorry for no posts this past week. I was actually pretty busy and wanted to do a few other things. I realized something today.... 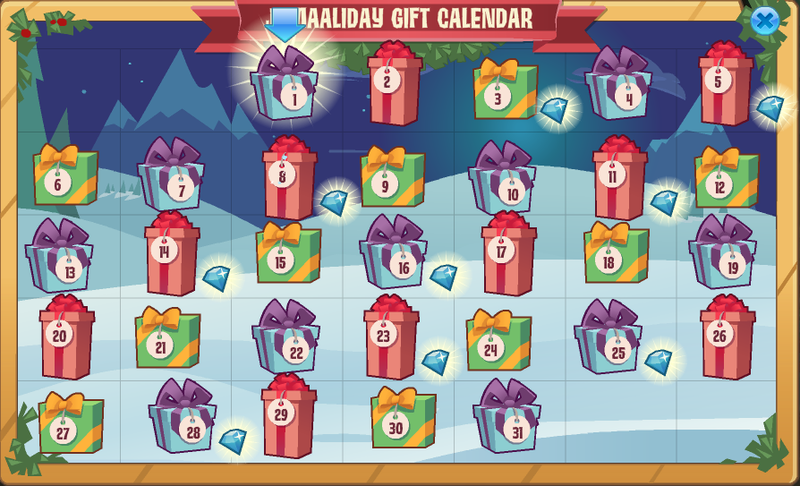 I realized that today is december 1 which means gifts everyday! 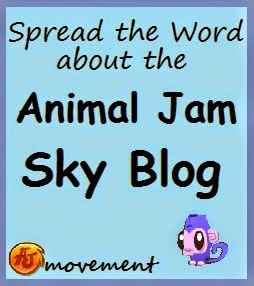 I also realized that I need to change the blogs template to a christmas theme! 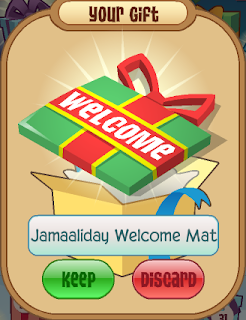 Ill be posting the jamaaliday gifts everyday. And if I miss a day I will still post. Let's look at this years calendar CAUSE THE JAMAALIDAY'S HAVE BEGUN!!!!!!!! 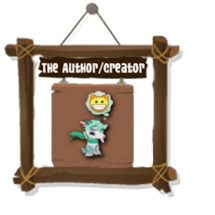 So it looks quite the same except maybe a different background. So 9 days of the month! It actually looks like more than that. But only 9 days you would think it would be more but oh well! 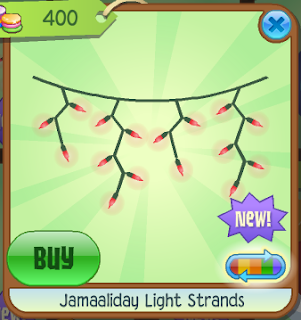 Today we have the new light strands sold in jam mart furniture for 400 gems! 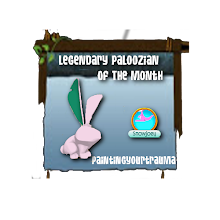 These lights are super festive and nonmembers can buy!!!! YAY!!!!! 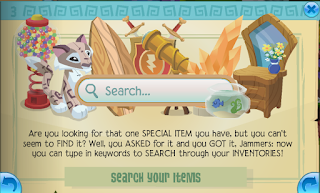 So you know the search feature that everyone noticed in there inventory? 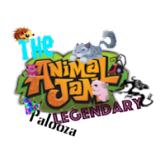 Well it turns out that animal jam just forgot to add it to the update. 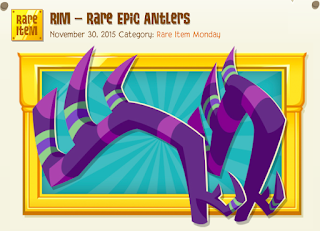 Cause if you look in the update now its there! 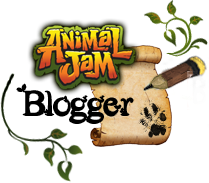 With perhaps more updates of jamaa! 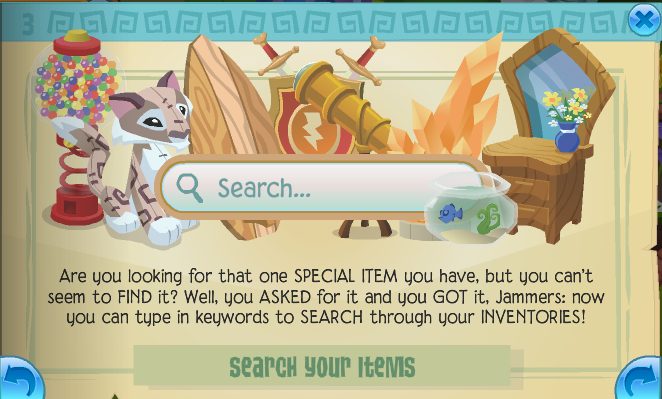 I'm so so so happy that we can search for items now. I used to get so frustrated looking for something and skipping over it. Also big thanks for those diamond dates!